I’m wondering what I should write about – sat here, I thought I was going to show you a new cloche hat I’d made, or a baby hat. Or I could have shown you how I covered my crochet hooks, or how pinterest made me go to Ikea (well I sent my husband), to get a craft trolley that I’ve just sorted out. Or I could do something not craft related at all – a trip on a steam train, kite flying, or my garden…….. 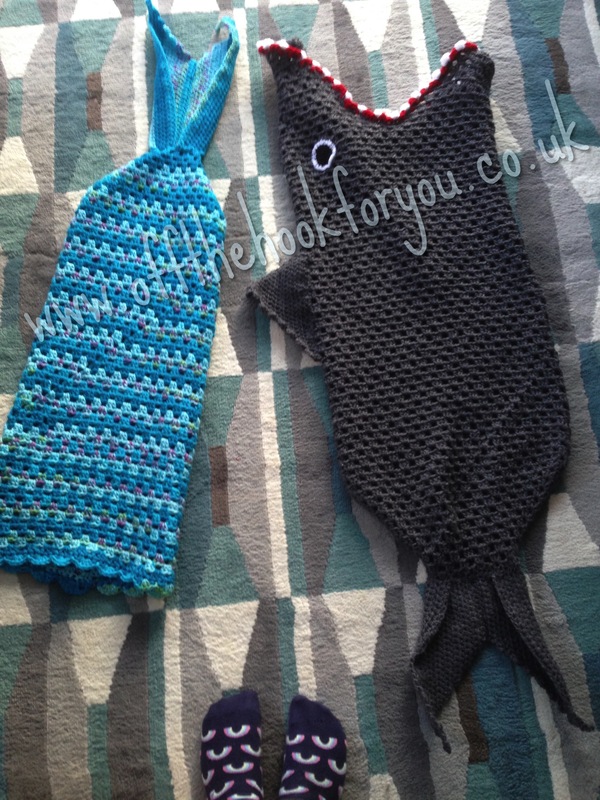 I made my daughter a mermaid tail to cheer her up when she was poorly. Then my son piped up that he wanted something too – “but not a mermaid tail as that’s for girls.”. So thinking cap was put on and I thought, well, If I was a 7 year old boy – what would I want? Its the same granny stripe pattern that I’ve used for the Mermaid – and I promise it will come soon. But the additions are different! 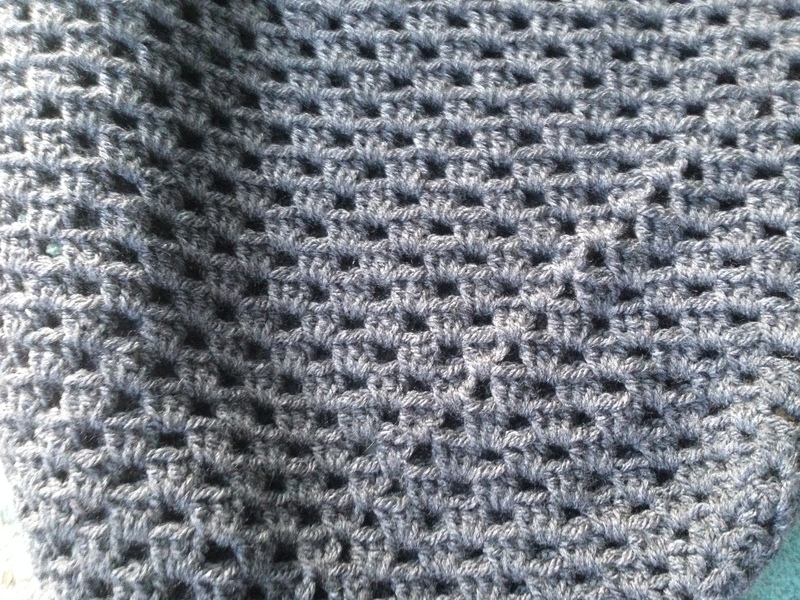 Not bad for a weeks crocheting – and 2 happy kids = a happy me! 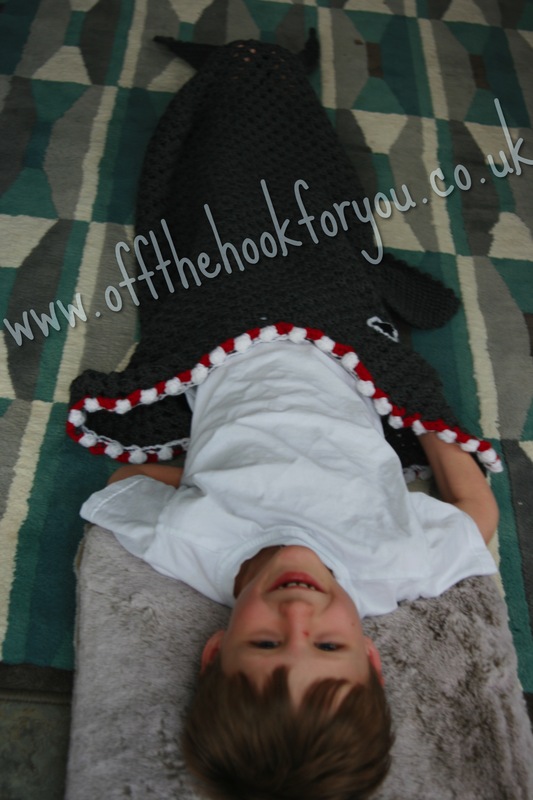 The pattern for the shark can be found here on my blog. 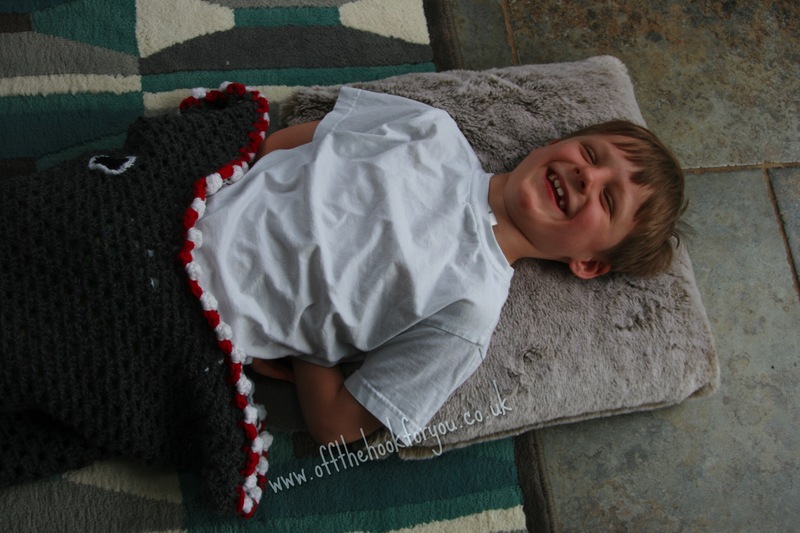 I love your shark pattern and would like to make it for my grandson. Would you be willing to let me purchase the pattern? Thank you so much for sharing the pictures. So cute! Hi, it’s available free on my blog. Click on the patterns link at the top and its the bottom link. I’d loved see a picture when you make it! Next Post Sometimes a Bargain isn't quite as good as you think!